You Can Fabricate Metal Parts Like the Pros! 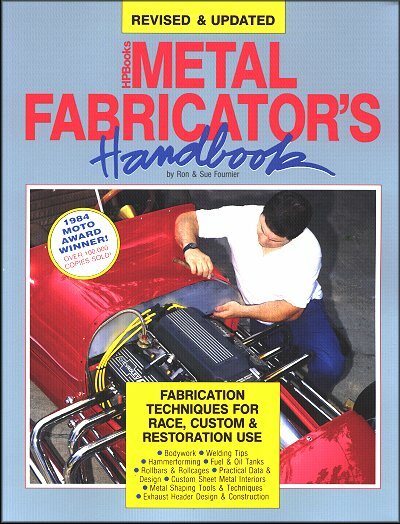 In this book, master metal craftsman Ron Fournier, shares the tips, techniques and secrets you'll need to know for fabricating metal parts and components for racing, custom or restoration applications. The book includes detailed, step-by-step photo sequences, that show you how to fabricate hood scoops, fenders, roll cages, fuel tanks, headers and more. This is a must-read book for anyone who's serious about fabricating automotive metal parts! 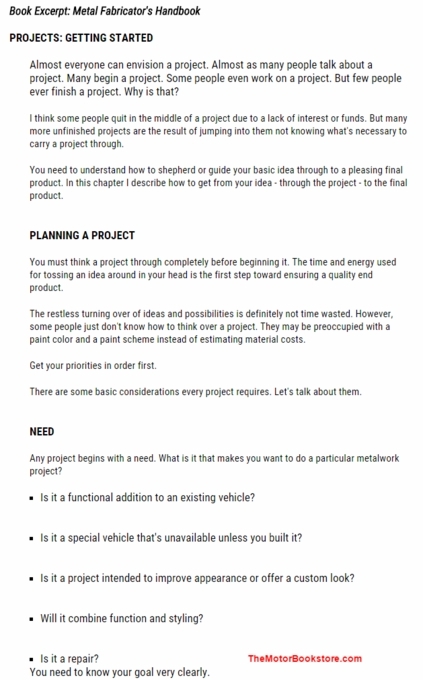 Ask a question about Metal Fabricator's Handbook: Race, Custom, Restoration.